Recently, I have found myself hearing the same verse over and over. For the past two weeks it stays in my mind echoing as in a deep and precipitous ravine. And in an interesting way, a gentleman from a different state, who has not spoken to me for a few months calls me and speaks on the same verse which is echoing in my heart. I feel that my Lord wants to impact not only me, but the people in my life with the verse in a deeper meaning. This morning I am a little earlier to wake up than usual on a Saturday. I wanted to sleep in. however, I wake up to a gentle water tap to the windows. As I go outside and sit on my patio, the air is filled with a gentle dribble of a descending precipitation. “I am the branch and you are the vine” echoes in my mind. “Yes, Lord,” I think to myself as a sparrow sends a quite chirp in a distance. “Blessed is the man who trusts in the Lord, whose trust is the Lord. He is like a tree planted by water, that sends out its roots by the stream, and does not fear when heat comes, for its leaves remain green, and is not anxious in the year of drought, for it does not cease to bear fruit.” Now why does this verse come through my mind as it is followed by, “I am the true vine, and my Father is the gardener.”. I remember as a child, we would have grapevines growing in our garden. Later on, I also wanted to plant them in my yard. At one point I studied the grapevine, and I have noticed; that Grapevines can be grown on their own root systems. The root system of a mature grapevine consists of a woody framework with a different mix of older roots from which permanent roots arise and grow. The interesting point for the grapevine roots is, that they grow either horizontally or vertically. These roots are typically multi-branching, producing lateral roots that can further branch into smaller lateral roots. Lateral roots produce many short, fine roots, which has the effect of increasing the area of soil exploited. The purpose of roots can be summarized in to the basics of, providing a physical anchor of the vine, absorb water and mineral nutrients, store carbohydrates and nutrients in reserve for future use, and produce hormones that control plant functions. Grapevines tend to have deeper and less dense root systems, and it has been known that the roots can grow more than twenty feet deep. They can also spread out as far as 33 feet depending on soil and irrigation. The Lord wants us to understand, that we need to be deeply in rooted in Him as he is in His Father. 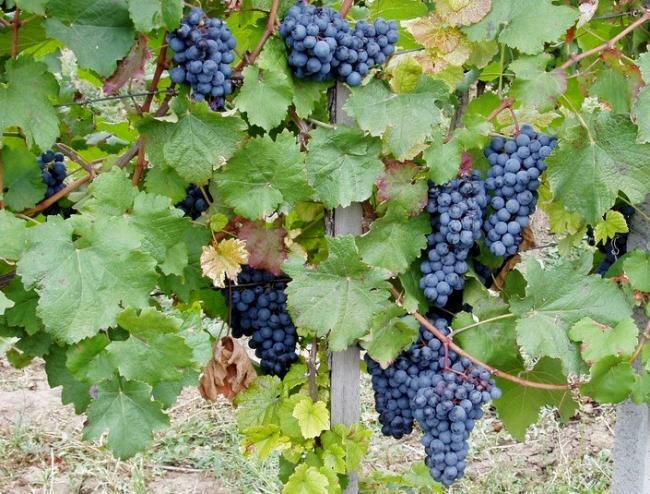 A vine will not stand, but will fall if it is growing at a faster rate than its roots, and at the same time, if the roots are not in proper soil, it will not produce healthy grape. A good vine, with good branches is equally spread through the soil as much as a well balanced growth in to vertical and Horizontal. Let us consider to be well balanced as a good vine is. He is our Vine, He has a true and intimate relationship with Our Father. He doesn’t chase after people, representatives of any ministry, miracles or wonders. He Has been still, and He flew alone as an eagle fly’s. Let us desire to know Our Father as Jesus knew Him. Let us desire to know only what He reveals to us. Let the irrigation of our roots be only of the Holy Spirit. Let us not be moved by our emotions, desires, jealousies, but be moved by His small and still voice. Let us be still, and know that He is Our God. This entry was posted in Kingdom, Nature and tagged Christian, Christlike, Church, creation, discernment, Jesus Christ, Kingdom, Nature, wisdom. Bookmark the permalink. ” Let the irrigation of our roots be only of the Holy Spirit. Let us not be moved by our emotions, desires, jealousies, but be moved by His small and still voice. Let us be still, and know that He is Our God.” Beautiful writing. How very many problems and struggles would be avoided if we paid heed to this admonition. Thank you for being used by the Spirit to provide such a great post. Praise His Holy Name. You are welcome, be blessed.